As we know success come when a team works in unity and individual can’t do that in single without any support. So we are searching for Good Posters who have experience in posting. The authors will be selected from all over India. Authors can post their affiliate links in their deals. We will not take any charge. If you want to post deals without affiliate then we will pay you according to your work. The author should have experience to post deals and tricks. This blog is running from more than 11 months and have achieve many success. Blog receive daily 2000+ veiws. Blog has an good app for easy access and had published on Google Play Store. You can post deals with your affiliate links or we will consider your work and pay accordingly. Blog ranking in India is 19850 and in world is 216075 according to alexa. You can post unlimited deals with your affiliate but pay for posting in that this not applied. 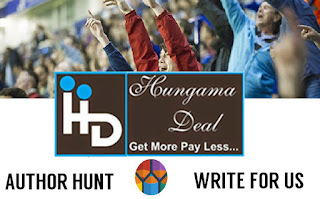 If you have a website or a blog then we will support your blog by showing in Hungama Deal. You can post from Blogger App too so its easy for you to post anytime anywhere. Below you will see a form. Enter the proper details there. Make a post in MS Word or upload pdf. Then we will contact you in 48 hours. Note : We will contact you from Whats App number or via Email. Share your Good Post and get a chance to work with us !! Give us some good post written by you so we can get to know your Writing Skills !! !